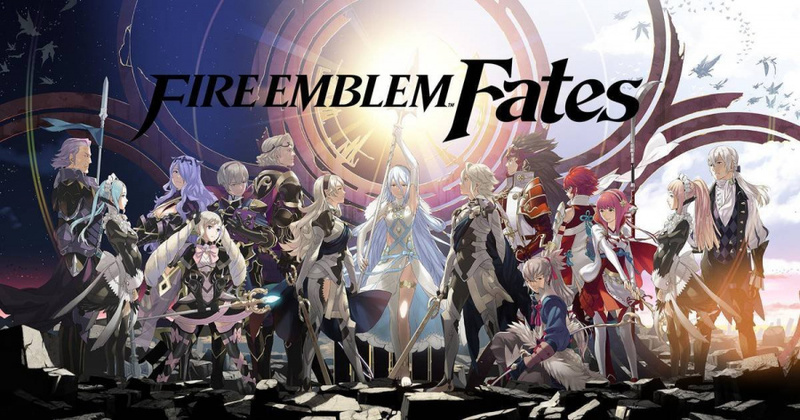 Fire Emblem Fates has finally arrived in Europe, and as is the norm we can see how Nintendo's latest release(s) have performed in the UK charts. For the Intelligent Systems titles it's been a thoroughly respectable début. For its part Chart-Track is treating the two versions as individual games, which is a fair move based on precedent from other franchises and the fact they are separate experiences. In the battle of the two versions it's Birthright that's sold more copies than Conquest, perhaps reflecting its status as the more accessible option. Birthright secured 5th place (all-format) in its first week, coming in behind multi-platform newcomers Doom and Homefront: The Revolution; PS4-exclusive Uncharted 4: A Thief's End is still number one overall. Conquest, for its part, isn't too far behind - grabbing 11th place in the all-format charts. When we switch to the single-format results we see better overall results with Birthright in 6th and Conquest in 8th; it's pleasing to see them both make that top 10. We're assuming that limited edition sales are adding one unit to each title's totals, though based on how quickly pre-orders closed on those all-in-one versions in the UK the numbers sold may not have been particularly significant. Sadly only one other Nintendo-exclusive release can be found in the top 40 - Yo-kai Watch has hung on to a top 40 place for another week, coming in 37th place. A pleasing début for Fire Emblem Fates, all told - it'll be interesting to see how momentum holds up for both versions. Good positions but we don't really know how it compared to Awakening without numbers. I wish Nintendo UK would actually tell us this sort of thing a bit more often. Their Twitter is nothing more than advertising. If you love fun in videogames and you were born in the 80s, get DOOM. Id Soft nailed it. It makes me feel like I am 10 years old again...it is like playing the original with modern graphics, superfast pace and risk/reward perfect gunplay. Birthright has also tended to be a bit cheaper around, fire emblem in the UK Just isn't as big as America so not as many people will get it. And if they go online most people say to get birthright first! Birthright sold more copies because a lot of gamers will start with Birthright and play through both games, which is good news for Conquest chart position in the next few weeks. Sure both Fire Emblem's have done well but other than that there's no 3DS games. And no Wii U game yet again. What will be the next Wii U game to chart? Paper Mario: Colour Splash and that likely won't be out for another 6 months? I don't think Tokyo Mirage Sessions will do well for several reasons. Sure you can't even buy the Fortissimo Edition. Conquest is the better game of them all really. Sad to see this one not selling higher than Birthright. Seriously, why can't they reveal sale numbers instead of chart positions? @zool Why would they waste money buying a physical version of Conquest when they can download it for half as much money? I am enjoying Valkirya Chronicles on Ps4 but I keep thinking that having the tactical map on the gamepad would make it a perfect game. Does anyone now what the UK version is like localization wise compared to the US version? Not Nintendo related but it's been 3 great games in 3 weeks for the PS4 with Uncharted 4, Doom and Overwatch. Things are really picking up. Not long to go for No Man's Sky. @CrazedCavalier Its not half as much. A physical copy can be bought for £28 and traded when played for maybe £18. Cost £10. The download is £18 and stuck on the 3ds forever. I also bought Birthright, and I might download Conquest down the line someday. @Peach64 only uncharted 4 is PS4 exclusive, especially with FPS like DOOM and Overwatch which are PC centric genre. @Kokusho it is not true anymore that FPS are PC centric games. @DoctorOverbuild The Single Player is pretty good, but you have to admit, the multi-player is actually DOG TURD. How they could have messed the multi-player up SO badly is beyond me. If you don`t mind forking out £30 for a single player game, then yes, it is worth it. @zool Technically it is half as much. 40 is half of 20. You can't just assume all people will trade it in when they're done. And you're also assuming that you will get 2/3 of what you paid back. Aaaaand it obviously means you don't have the game anymore. That's kind of a biggy. @Socar "Conquest is the better game of them all really. Sad to see this one not selling higher than Birthright." Come on Socar, did you really expect otherwise? @arnoldlayne83 Oh sure, but I'm not talking about objective facts here. I'm talking about the software value of the PS4 lately. Of the 3 games listed as "big PS4 release" 2 of them are multi plateform in a genre most people having the choice would rather play on a PC than a console. To me thoses 2 games are not valuable on PS4, Uncharted 4 is however, and a multplateform game like an Assassin Creed, Fifa or whatever that is more suited to console than a FPS would also be more valuable than DOOM and Overwatch, 2 multiplayer competitive Shooters, which is garbage on console imo. Also let's see how much Overwatch sells on PC vs Console. I would be surprise if it sells more on console. I was going to comment on the Special Edition contest with a 'I've already got one' joke from Monty Python, but it was region locked. Well no matter. Got my copy, love all that comes with it. It's nice to see Birthright and Conquest doing so well in the UK charts despite some intense competition. I'm also pleased that Yo-Kai Watch seems to be hanging on, which makes me think it had a bit of an impact in the region. Birthright would be my first choice, but I got the Special Edition (NA), mainly because of the character design and the new classes from Hoshido side. Sadly I'm not getting it until Nintendo restocks the Special Edition (which won't happen). Good news for Fire Emblem though! Also, it's not Nintendo related, but Valkyria Chronicles Remastered got 6th behind Birthright. Wait, people are actually expecting Wii U game/s to chart this week? That's news to me. SMH. Pathetic haters trying to spin a Nintendo good news (Fates selling) into a bad one. @Indielink exactly, you could buy the other two paths digitally for what you spend for another copy physically. I'm hoping some of those people are going to get all 3 eventually. Soon as I pick a side, it'll probably be birthright, I'll be getting the other 2 down the line. Playing from "hardest to easiest" seems like a sure fire way for setting yourself up for disappointment. @zool I'm used to the straight up "$40 brand new, $20 download" deal. Though trading the game in won't work, as the extra paths are treated as DLC. And this assumes that a person would never want to replay Birthright in the first place. I don't replay many games, just as I don't re read books or watch movies more than once. And I don't like downloading games, with just a few exceptions. I will buy the physical copies of Fire Emblem Fates, then play and trade them. Question: How can Birthright be 5th in multi-format but 6th in single format? Birthright's only on one console. That would mean there was a game that sold well one one console but sold negative copies on another. There could be a multiplatform game (probably Doom) that sold more on Xbox and on PS than Birthright. @MetaRyan There are multiple versions of the same game in the single format chart that push it down. In the multi format chart it was behind Uncharted 4, Doom, Homefront and Black Ops III. In the individual format it was behind Uncharted 4, Doom PS4, Doom Xbone, Homefront PS4 and Homefront Xbone. Valkyria Chronicles is a gem. Playing it now. Of course, so is this Fire Emblem trilogy. I know I got Fates months ago but for Europeans, they're getting both Valkyria Chronicles AND a triple dose of Fire Emblem all at once. Strategy fans are getting the proper treatment this month. FE Fates debuted okay, and almost certainly sold a lot more than Awakening did at launch, but compared to how Fates sold in the US (5 times the launch sales of Awakening), the numbers are a bit disappointing. @SLIGEACH_EIRE I think Tokyo Mirage Sessions will probably do the usual 1 week wonder on Wii U at least, since it is related to Fire Emblem, and I'm sure fans know full well the tradition of FE games staying and going up in price so better to buy it now then later. Other then that, you've got Mario and Sonic 2016 Rio Olympics on Wii U next month which sure won't appeal to everyone but it's got Mario in the title, it's all Sonic fans have got to celebrate the franchise's 25th anniversary right now, and as well as a one week wonder, should see a small boost once the actual games begin at least. Does this include digital sales as well.